Plastic Rebar Chair are made out of durable non-corroding high density plastic which is both strong and light. 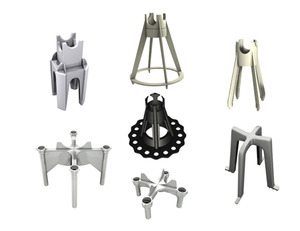 Our rebar chair systems cannot change shape and will provide uniform concrete cover. Plastic Rebar Chair for concrete support can be used in tilt up and slab work. 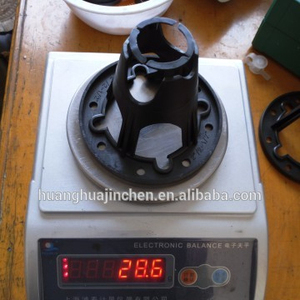 Plastic Rebar spacer 2" to 2"-1/2"
4 YRS Huanghua Jinchen Commerce And Trade Co., Ltd. They are made from quality materials and come in two head sizes to accommodate different bar sizes, one for bar 4mm to 20mm and the other for bar 20mm to 36mm. With over 10 years experience, we ensure that your next project is managed and supplied with the best lifting products and solutions. And we are the supplier of the leader concrete company from USA ,Germany ,England ,Australia and middle East after pass the inspection by them . We have 8 workshops: Design, Molding, Plastic injection molding, Blow molding, Stamping, Welding, Nail, Packing workshops and Laboratory. Our growth is based on exceeding our customers' expectation by providing top quality products, best service and on time delivery. -our Contact Information pls contact me, and I will respond to you at the first time! 11 YRS Shanghai Yaoqing Industry Co., Ltd.
8 YRS Huanghua Juhong Hardware Products Ltd.
5 YRS Dalian Harvest Metal Fibres Co., Ltd.
rock bolt pvc centralizers We offer PVC centralizer(rebar) which are manufacturered from high grade quality raw material, these PVC centralizer(rebar)can be customized as per customers&rsquo;requirement, these PVC Centralizer(Rebar)are widely known for its durability and quality. Our PVC centralizer can be used in civil and industry field. Hold one half of centralizer on the steel bar and place another one fixed together (see attached photo). 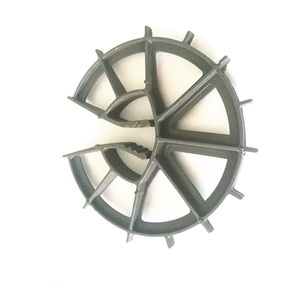 Tags: Combination Plastic Rebar Chair | 2016 Australia Stander Plastic Rebar Chair | Construction Plastic Rebar Chair Spacer 1 1/4"
, LTD (JCD Group) is one of the manufacturers and exporters of forging, casting, punching parts in Qingdao, China. Our products refer to precast system, scaffolding system, punching and kind of forging & casting machinery parts. 2. We can produce according customers' drawings and samples. 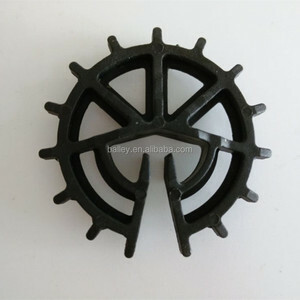 Alibaba.com offers 798 plastic rebar spacers products. About 30% of these are other plastic building materials, 5% are other plastic products, and 2% are metal building materials. 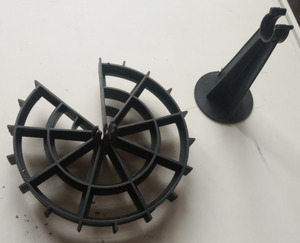 A wide variety of plastic rebar spacers options are available to you, such as free samples, paid samples. 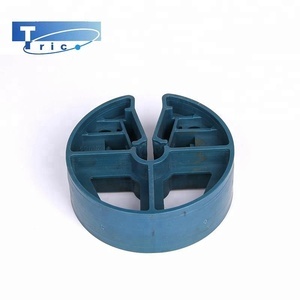 There are 798 plastic rebar spacers suppliers, mainly located in Asia. The top supplying country is China (Mainland), which supply 100% of plastic rebar spacers respectively. Plastic rebar spacers products are most popular in Western Europe, North America, and South America. You can ensure product safety by selecting from certified suppliers, including 150 with Other, 78 with ISO9001, and 9 with ISO/TS16949 certification.